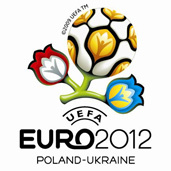 Today, at 14.30, was exactly 333 days, 33 hours and 33 minutes before the start of Euro 2012. Kiyvan student Denis Kovalchuk planned to set a record by hitting a ball in the air exactly 333 times so that he could write this result to the National Register of Records of Ukraine. “He’s going to to hit the ball 333 times during 3 minutes on Khreshchatyk street, directly under the mayor’s office. Our expert will count time and help other see that there are no violations. I hope that Dennis will succeed “, – told the “Segodnya” spokesperson of the National Records of Ukraine Alexandra Karlinskaya.